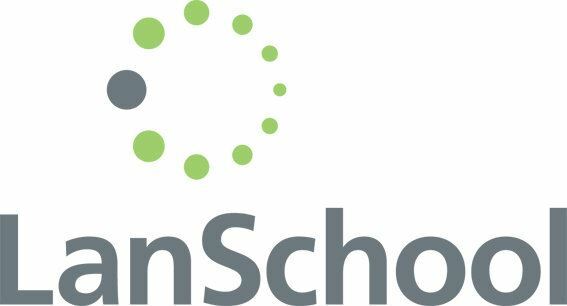 ACTEM is pleased to be a reseller for LanSchool, a classroom management solution that supports PCs, Macs, and Thin Clients such as NComputing, Terminal Services, and Citrix. Monitor students by using the Thumbnail view to quickly see each student's screen from a distance and keep them on task. Use the chat function to communicate and help students with their project. See your entire class from any device OS including: Chromebooks, Windows, Macs, iOS and Android. Other features such as Screen Snapshot, Internet History and Keystroke Monitoring help maintain a safe environment for all students. Teach more effectively by broadcasting the teacher screen to the rest of the class. Select students’ screens to showcase their work. Easily co-browse the internet, so students go exactly where you do. Distribute polls or quick quizzes and share instant results with the class. Use remote control for quick assistance to students. The communication features found in LanSchool help teachers more effectively communicate with students within the classroom. Teachers can audio chat, send a message to assist a student, chat with an individual or group of students and answer questions quickly. The Blank Screens feature allows you to focus your students’ attention to the front of the classroom by blanking all student screens. Keep your students focused and on task by limiting their access to specific web sites and applications and directing them to the assignment or application. Maximize valuable classroom time with quick tools and custom settings. Send and collect homework assignments. Launch applications and websites instantly. Automate student logins and power devices on/off remotely. LanSchool is set up to easily access the functions you use most. The Button Bar at the top of the console allows teachers to access the menu and features, customize them and put your favorite buttons where you want them. The shortcut menu allows you to quickly launch the console to show your screen, blank screens and limit web and applications. Use the powerful features of LanSchool to assess student progress. Get quick responses with the voting/polling function, or using Assessment Mode for a test. Assessment mode addresses the PARCC testing requirements to lock down a device during a test. Create customized tests and grade in real time. Export grades and results. LanSchool uses an order of magnitude less bandwidth on computer networks. This makes LanSchool trouble free in wireless 1:1 environments. LanSchool supports classroom lists, which means as students with laptops assemble in a class, the teacher pushes a button to pull all of them into that class session. LanSchool offers unique support - Included in the purchase price are three (3) years of maintenance, support, and upgrades. After three years the cost of an upgrade is just one third of the license fee. The LanSchool Site License for $2899 (ACTEM member price) covers the entire school for less than the cost of just 7 classrooms. · It will not be necessary to keep track of multiple licenses as they will all be consolidated into one license. · You will be able to use LanSchool on any computer in the district, even in classrooms that only have a few computers where purchasing a full classroom license doesn’t make sense. · The district will be covered regardless of any future growth, even if entire new schools are built they will be licensed to use LanSchool. · All computers in the district will be on the same version of LanSchool and eligible for the same upgrades. You will lock in your upgrade fee. With your purchase of LanSchool you receive three years of support and upgrade protection. After three years the cost of an upgrade is just one third of the license fee. A 30-day fully functional trial version is available as a download. Click here for a quick tour of LanSchool – Also check out the Technical Advantages page and the FAQs under Support. Trial version available.